All WELLINGTON VIEW homes currently listed for sale in Wellington as of 04/26/2019 are shown below. You can change the search criteria at any time by pressing the 'Change Search' button below. "WOW, the BEST home in Wellington View hits the market for the first time! This stunning Ternbridge model was the last home built in Wellington View by award winning luxury home Builder, Toll Brothers and has barely been lived in ... this is an incredible opportunity. This amazing home boasts many builder upgrades with clean sleek modern touches that will take your breath away. From the moment you enter through the glass entry front doors to your grand curved staircase and direct expansive open water & preserve views you will see how special this home truly is. 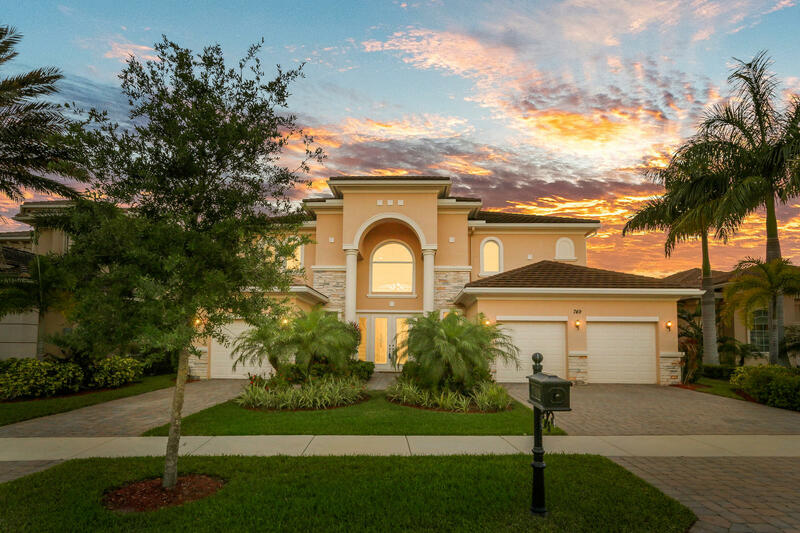 This fabulous home offers a 2-story foyer and living room with dramatic floor to ceiling windows with 99% UV Heat Reduction window film, a second staircase off the family room & kitchen, a downstairs office with scenic views,"